While initially, the Xiaomi Mi Note 3 smartphone was expected to be launched in India - after all, that would indeed be a 'brand new series' for the country, as no Mi Note smartphone has made it here so far - Xiaomi later refuted that speculation. This, combined with the fact that the Redmi India Twitter handle was also promoting the launch, leads us to believe Thursday's launch will be of a new Redmi series smartphone. We'll have to wait and see. Stay tuned to Gadgets 360 for the latest news from the event. Finally, let's speak about MIUI 9. The latest version of Xiaomi's custom Android ROM was first unveiled back in July, and has since been made available in various betas. Xiaomi has confirmed that the release of MIUI 9 Global Stable update, meant for devices outside China, will be announced at Thursday's launch event. MIUI 9 offers faster app load times (hence the #LightningFast teaser), new design elements, shortcuts on lock screen, split screen feature, smart functionality, and more. Another highlight is the new Image feature search that has the ability to distinguish your images by typing in keywords. Also new in MIUI 9 is the Smart Assistant feature will let you search for pretty much anything on your phone and swiping to right on the home screen will bring up the search along with app suggestions, news and other customisable widgets, similar to Apple's Spotlight feature for iOS. Other new features include a Smart app launcher that suggests apps to launch based on the content on the screen. The latest OS also brings three new themes, No Boundary, Colour Fantasy, and, Cool Black as well as a new default theme. Additional new features include a new design on the lock screen, a new shortcut to activate the torch by swiping right on the lock screen. The split-screen feature that was launched with Android 7.0 Nougat can now be found on MIUI 9 as well. 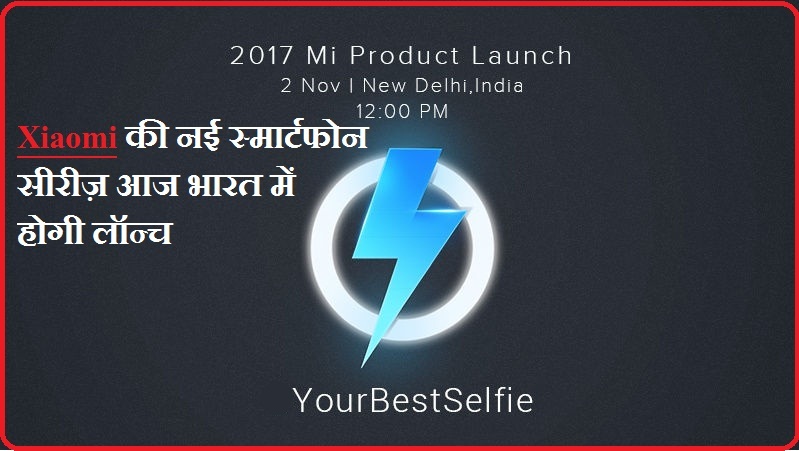 0 Response to "Xiaomi to Launch 'New Smartphone Series' in India Today"